I've sometimes found myself in the situation where I just need quick access to a screw driver. This often leads to some searching for whatever will substitute either a phillips head or flat head. This is the problem I set out to solve. 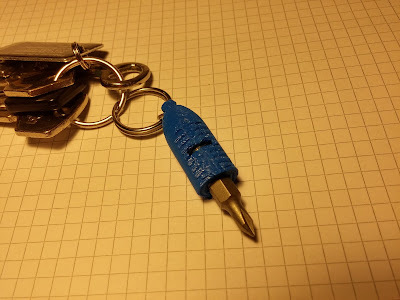 I've made a small 3D printed key chain which can hold any regular hex bit. Keeping one or several of these with your keys will solve the desperate rummaging for whatever item that can somewhat act as a screw driver. The file for 3D printing can be downloaded here. How to make it can be found in this instructable. I modeled the file in Fusion 360. I'm growing fond of this modeling software, and I'm learning several new tools and techniques every time I use it. Several years ago I bought the Fatal1ty gaming headset. I still have the headset in working condition and it has great sound. The only thing is, the headset is huge! 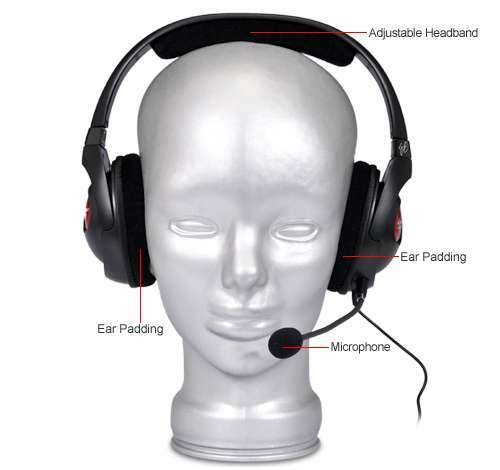 This means the headset is not practical for everyday use. I still enjoy the quality audio from the headset though, so I don't want to completely put it away. My plan is to make a new headset where I reuse the audio drivers from the fatal1ty headset. This should give me a slimmer, more practical headset, with great sound. 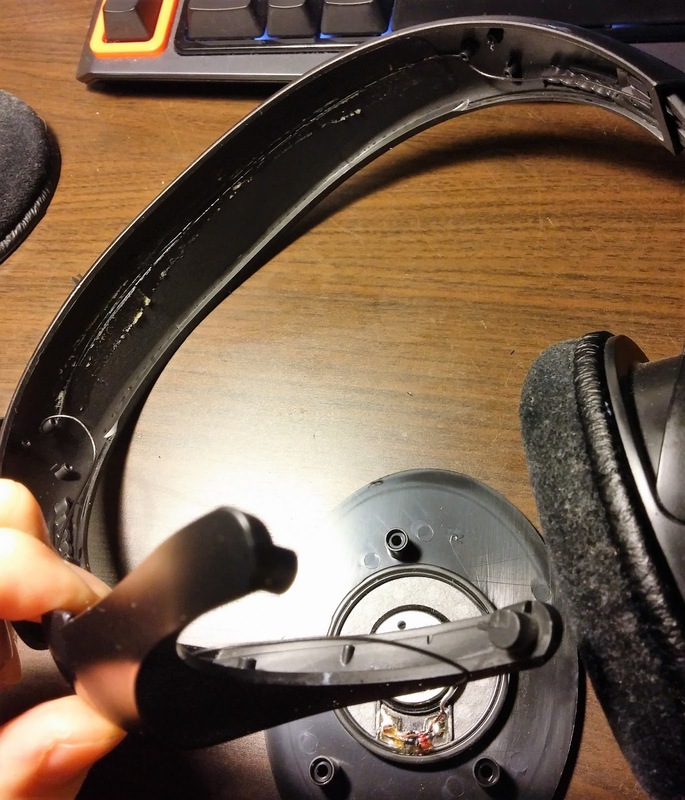 The way I'm going about this is first tearing open the old headset, and then I will 3D model a new headset. Later, I'm going to get the headset 3D printed before I mount everything back together. 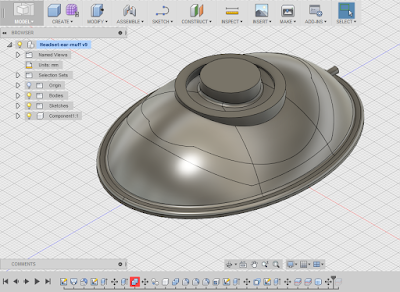 This is the first project I'm modeling in Autodesk's software Fusion 360. I imagine there will be a steep learning curve. The headset I'm starting out with. As you can see, it's huge. My own headset tore open. That's some great audio drivers. Modeling the new ear muffs. 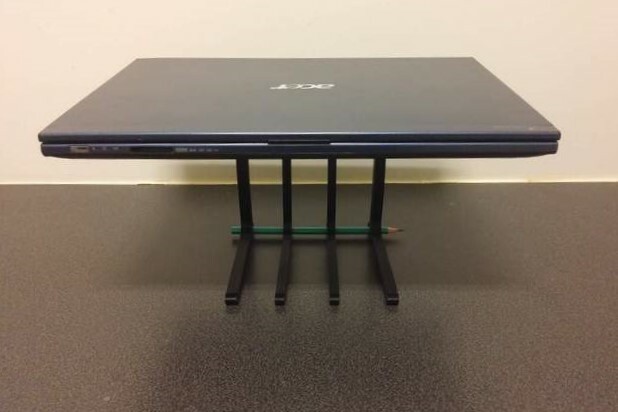 I've wanted a laptop stand for my desk for a while. I would like to raise my laptop ca 12 cm to give more room on my desk for books and a keybord, as well as giving a better viewing angle. 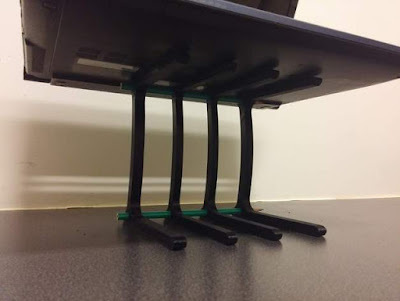 There exists some designs of laptop stand to be 3D printed, but all of these use a massive amount of plastic when they are printed. I set out to solve this problem. I wanted a laptop stand which could be 3D printed without going through half a spool of material. This is my first real experience with designing something in 3D and printing it. The file for printing your own stand can be downloaded here. I used Autodesk Inventor. It was a fine program, but next time I'm designing something I'll look into Fusion 360 to compare the programs. 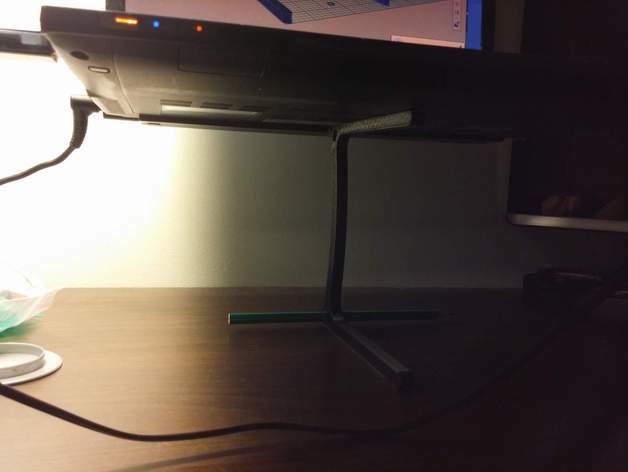 This lets you print a laptop stand with minimal material and print time. This stand will raise you laptop about 12 cm. The stand gives better viewing angle, and more room on your desk. Print as many copies of this model as you need. Connect the parts together with a couple of pencils, to keep all the parts on the same line. Just one of these stand parts is strong enough to hold my computer, which weighs about 2 kg. I printed them with 10% infill, it took about 40 mins per part. Print with greater infill for a greater stability. This means you can print fewer parts. I've made a new instructable which can be found here. 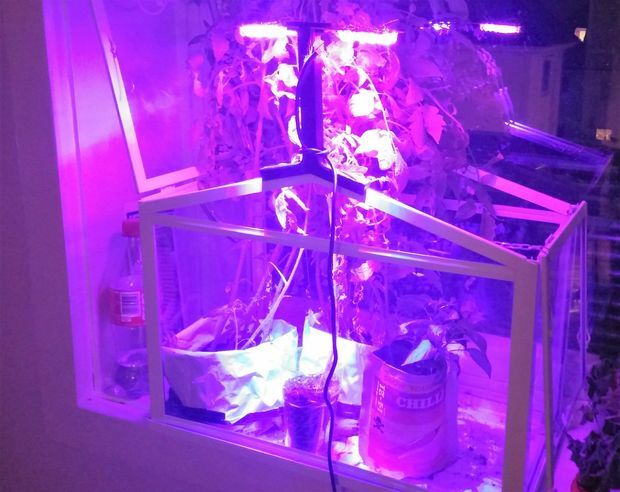 The instructable covers how to make a grow light for indoor plants. I made the light because I planted some tomatoes a few months ago, and at this time of the year there's only about three-four hours of sun in Norway. It was a lot of soldering, but what I liked the most about the project was the 3D modeling of the light holder which sits on top of the green house. In this instructable I'll show you how to make your own grow light for indoor gardening! The light was inspired by what NASA uses to grow lettuce aboard the ISS. This light is perfect for indoor gardening to make sure your plants get enough light for photosynthesis. It is made with alternating red and blue LEDs because these are the wavelengths plants use the most. That's actually why plants look green. They absorb all the light in the red and blue spectrum, and reflect the green wavelengths away. The light is built in modules which makes it easily expandable to any size you need. This project requires a lot of soldering so it's a perfect project for learning or honing your skills! If you like this project hit the vote button up in the right corner! If you want to get fancy with this light add a timer so your light turns on and off automatically! This Instructable is written out and annotated here. In this project I'm going to show you how to make an automated study environment with the Intel Edison! 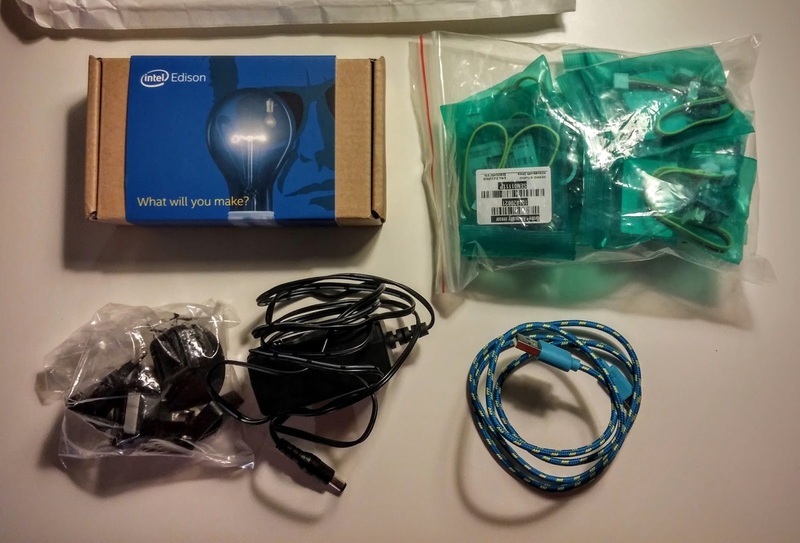 The Intel Edison uses several sensor to monitor the environment in your study room. The Edison will optimize the environment in your room to fit your specified parameters for studying at peak performance. 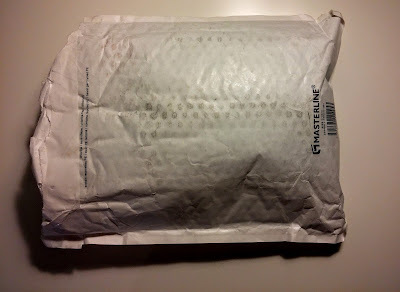 The background for this project is that I was chosen by Instructables to receive one of their Intel IoT Invitational kits. I was lucky enough to receive their Home Automation Kit. This was so I could get to making the idea I had pitched. My idea was for this automated study environment! This is based on the pomodoro principle. To increase mental capacity when reading, there is a timer that lets you work for 25 minutes and then gives you a break for 5 minutes. This cycle continues until you either are finished with your work or you need a longer break. The Edison gives you a signal to take a break both by lighting an LED and with a speaker. There's a sensor which continuously monitors the room temperature and compares this to your desired temperature. If the room is too cold a heater turns on. Likewise, if the room becomes too warm the heater turns off. The Edison starts by turning on a reading light so that you have plenty of light for reading. This light can also be toggled on and off by a wired push button. Theres a sensor which monitors the quality of the air in the room and compares this to a set air quality. This is useful because long study sessions often can lead to lower air quality, which in turn lowers the quality of your work. The Edison lights an LED to indicate that you need to open a window to let in some fresh air. The LED turns off when the air quality is once again at optimal levels. 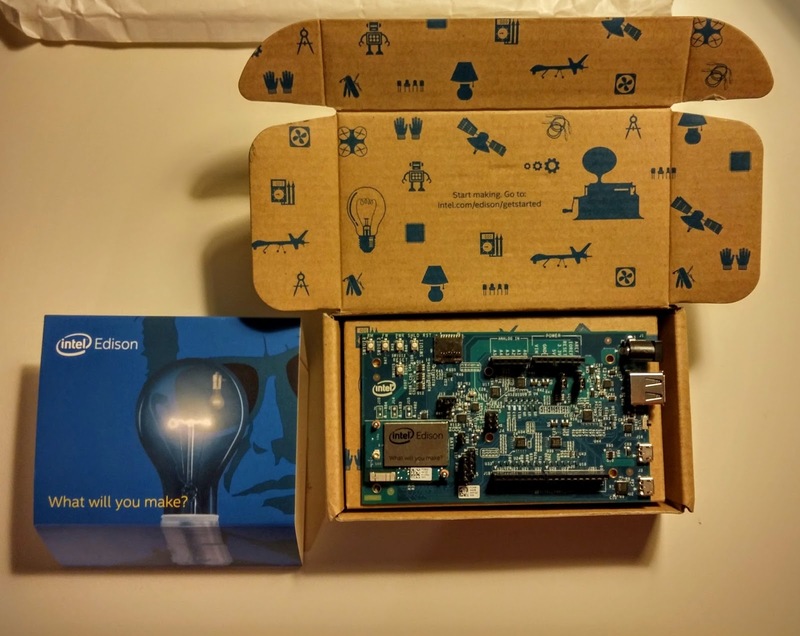 If you are just getting started with your Intel Edison board you should visit this page with a lot of great resources! This instructable uses one arduino library for sending the RC signals to the wireless outlets. To install these library download the following link, unzip and put in your library folder. After you have installed the libraries in the previous step you can decode the signals sent by your wireless remote. This let's you control your own wireless outlets and appliances. Connect the 433MHz to VCC, GND and D2. Upload the example sketch to your Edison and open serial monitor. Press the buttons you wan't to decode and control later. Take note of the decimal value of the code, the bitlength, and the pulselength. These are the values you need to change in my code to control your appliances. Every component except the LEDs needs to be connected to GND as well as VCC. The LEDs are connected to each of their digital pins through a 330 ohm resistor on each anode. The push button is wired with the digital pin connected to GND through a 10k ohm resistor and with VCC flowing through the button when pushed. Step 6: The Code - Where the magic happens! I've spent some time commenting my code so it's a beauty to look at! 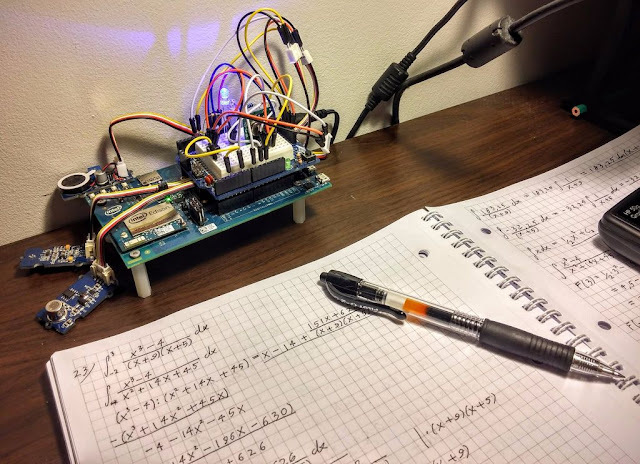 The code works by starting off in study mode when you power on the Intel Edison. When this happens the reading light turns on, this signals that it's time to start reading. This also starts the monitoring process and the pomodoro timer. Of course, if you would like to turn on or off the reading light there's a simple push button to wireless toggle the reading light. There's an LED which lights up when you've read for 25 minutes and it's time to take a break. This starts a 5 minute break timer which turns off the LED when the break is finished. Both the start and end of break time is signaled by a buzz from the speaker. There's also a continuous monitoring of the study environment itself. In the code you preset what temperature you prefer in your room when studying, and at what air quality you really should ventilate the room. If the room temperature is below one degree of your preset the room heater turns on to remedy the cold temperature. Likewise, if the temperature is above one degree of your preset, the room heater turns off and the room will begin to cool again. If you've been studying for a while, as is often done in exam periods, the air quality in the room will decline. The air quality sensor will immediately tell you when it's time to open a window to let in some fresh air, and increase the quality of your work. When the air quality drops below your preset a signaling LED will light up and won't turn off again until the air quality is once again within optimal parameters. The code is written mostly by me based on both previous projects and example sketches from libraries. The code to make the grove temperature sensor work is mostly from Bruce Qin, which I found at this site. The temperature sensor code has the benefit of not needing an external library. 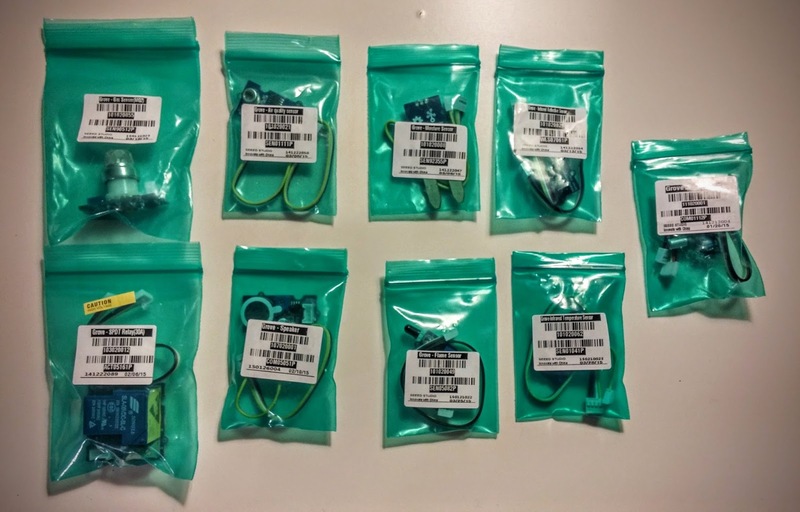 Finding the average value of the air quality sensor was done by following this guide by David A. Mellis. I loved doing this project. I got to develop on some previous ideas and projects to come up with a system I'm going to enjoy using! I would have liked to include more sensor and automating more in the environment. Also, it would be great to push the Intel Edison closer to it's limits. It would be cool to have the Edison send a signal to my phone over bluetooth or wifi when the study mode starts and ends. This could be set up with the app tasker on my phone, so that the Edison could turn off my phone's notifications when it's study time. Likewise, the Edison could turn on again notifications when it's time for a break. I would have liked to automate the process of opening and closing my window. This would add to the automated goodness, so the Edison doesn't just tell you when you should increase airflow in your room, the Edison fixes this for you. All in all I'm super grateful for the opportunity to develop my skills and give back to the community which has inspired me so much! I've been chosen by Intel and Instructables by Autodesk to receive a free kit with the development board Intel Edison along with loads of sensors. This is supposed to seed the maker movement with Edison boards to get a lot of new innovative projects. You had to write an application to receive one of the kits, so I'm happy I was chosen. I wrote about what I was going to make with the Edison. Basically what I want to make is an automated study environment. That means a micro controller will use sensors to both monitor and regulate the environment to my preferences. This is the kit meant for home automation, which was perfect. As you can see, all that hardware holds a lot of potential! Clockwise from top left: Intel Edison. Sensors. USB micro cable. 12 V power supply with different plugs. That's a lot of hardware!